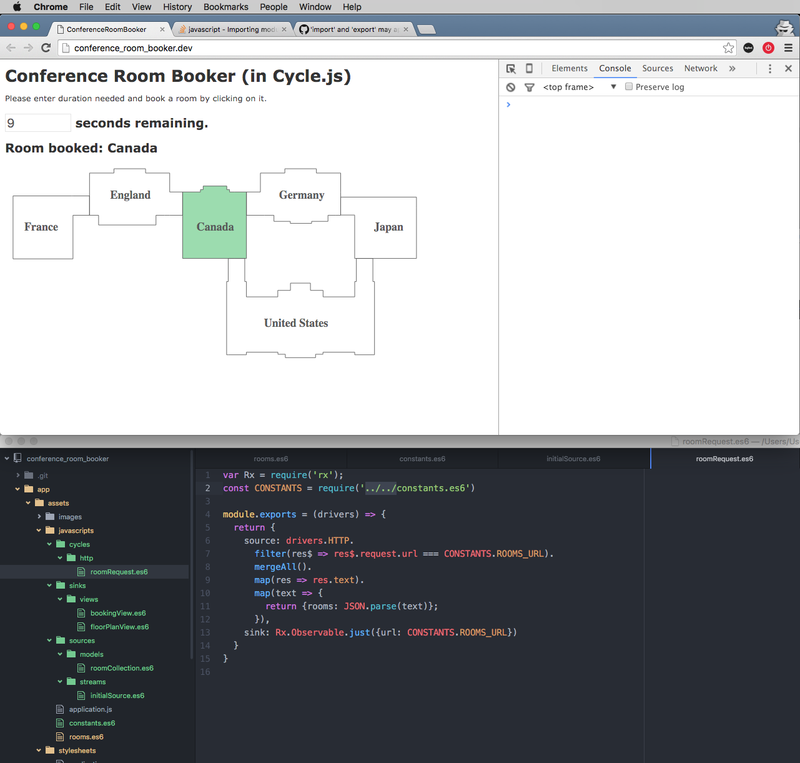 Added to Conference Room Booker HTTP requests and responses via Cycle.js HTTP driver, obtaining room names (e.g. France, Canada, etc...) and showing them within the floor map SVG. Has anybody else been experimenting with Cycle.js's pure functional style of development?.